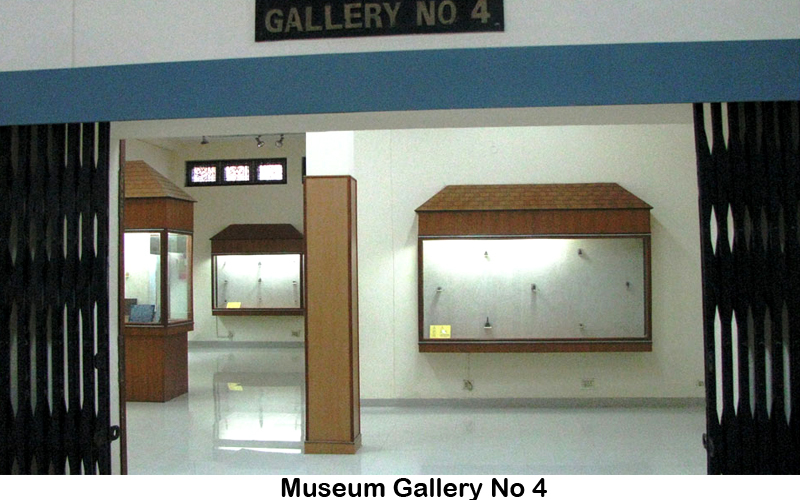 Before the establishment of the museum, the antiquities were mostly kept at the excavated site, store room which deserved their proper display for mass awareness and benefit of the public. Archaeological Survey of India took up the initiative to establish a museum for scientific and systematic display of antiquities. . The construction of aesthetically planned three terraced magnificent building was completed in 1990 and after necessary arrangements the museum was opened to the public on 15th august, 1998. 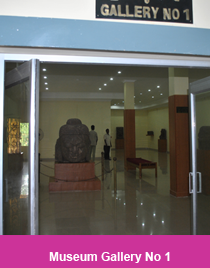 It has 3485 listed antiquities of which 238 are displayed in the museum galleries, corridor, back side verandah and in the front entrance of the museum. 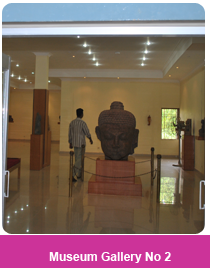 The museum consists of four big galleries with a long stepped corridor displayed with various antiquities mainly related to tantric Buddhism. These are varied in nature and include small votive stupas, sculptures of different medium and dimensions in stone, bronze, ivory, copper and stone inscriptions, inscribed pot sherds, terracotta seals and sealings and others.. In gallery-1 the number of displayed antiquities are 25, amongst them mention may be made of stone images of Buddha, Avalokitesvara, Khasarpana, Manjusri, Tara-all belonging to 9th to 11th century AD. 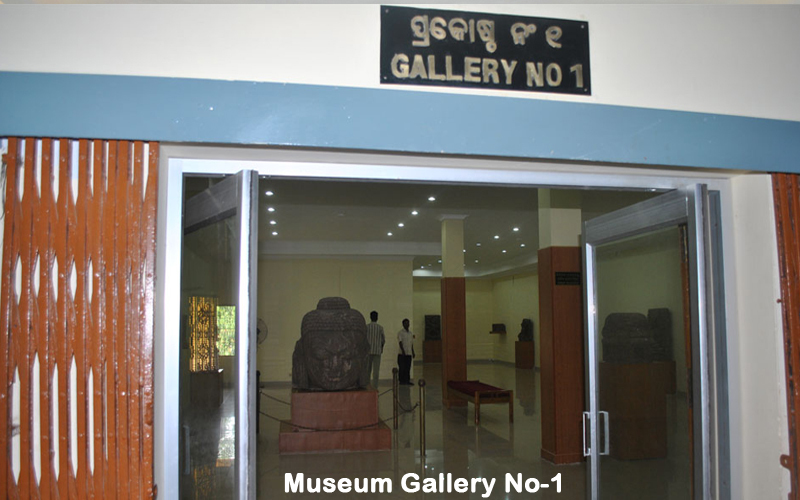 Out of 24 displayed antiquities in the gallery-2 mention may be made of Buddha, Bodhisattvas, Jambhala, Tara in various postures, Vasudhara, Chunda and others. In gallery-3 as many as 81 antiquities are displayed in the wall show cases and the important are stupas depicting Buddha, Bodhisattvas, Aparajita, Ushnishavijaya. 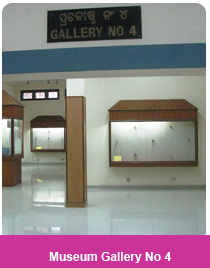 The number of displayed antiquities of gallery-4 is 80. 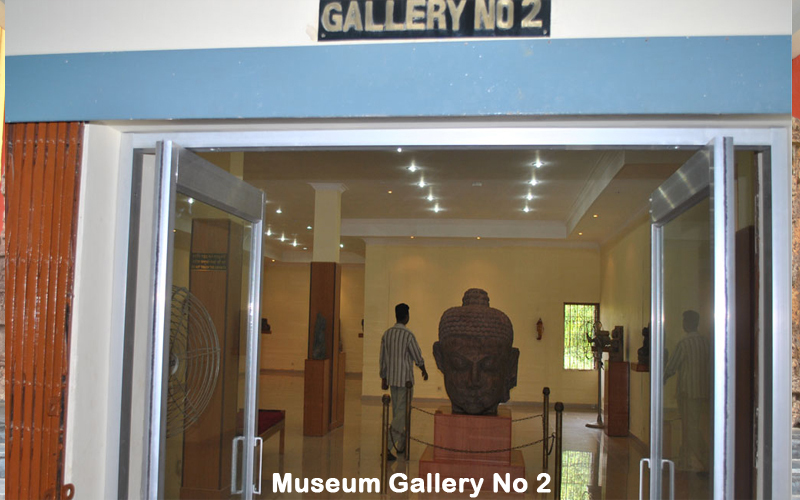 The important displays of this gallery are inscribed pot-sherds, terracotta plaque depicting Buddha, monastic seal, copper plates and bronze images of Buddha, Krishna-Yamari, Tara and Manjusri. The reserve collection consists of antiquities which include stone sculptural pieces, monolithic votive stupas, terracotta seals and sealings, bronze objects, glass bangles, all are found from the excavations of the site. The entrance gate is adorned with large sculptures of Avalokitesvara and Ashtamahabhaya-Tara. 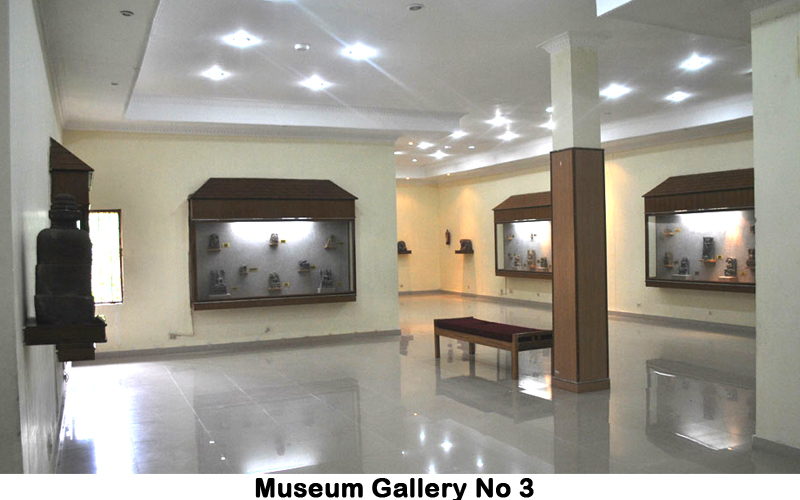 Recently, as a part of modernization, beautification, visitors’ amenities, safety and security of the museum, so many developmental works have been taken up. 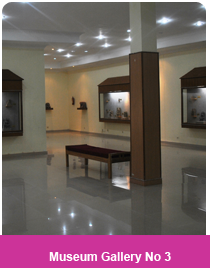 Vitrified tile flooring, beautiful light system, close circuit camera system, false ceiling of the museum galleries are carried out. Except Friday, the museum remains open from 9am to 5pm every day with an entry ticket of Rs.5/- for both Indian and foreigner above 15 years age.